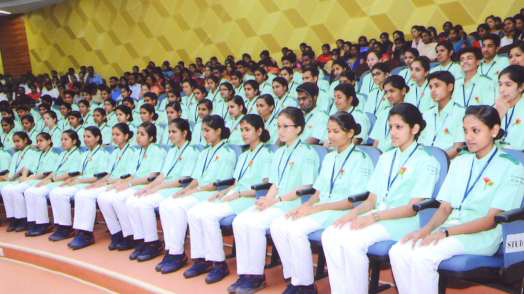 The college has well-qualified & experienced teaching faculty, who strive hard to impart quality nursing education and give personal attention to each student. 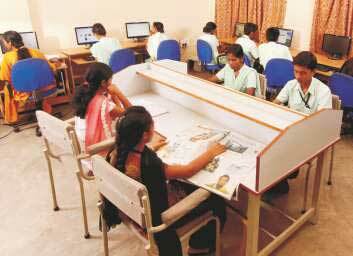 The college has well equipped and spacious classrooms and laboratories viz. Fundamental Nursing Lab, Community Health Nursing Lab, Obstetrics and Child Health Nursing Lab, Audio-Visual Lab, Nutrition Lab and Computer Lab. The College has its own parent hospital – JSS Hospital with 1500 beds, which has all clinical departments with speciality areas like Urology, ENT, Ophthalmology, Nephrology etc. 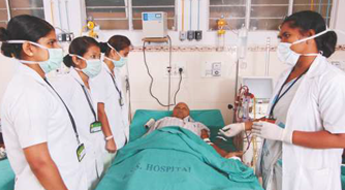 All the departments are provided with the latest equipment for efficient management of patient care. The hostel is compulsorily provided for Basic B. Sc. Nursing students. For students of other courses, hostel accommodation is available on demand (only for girls). Boys of all the courses can avail the hostel facility at JSS Medical College Boys’ Hostel, which is located at a distance of 8 km from the college. A written permission from the Principal is required for staying out of the hostel after the regular permitted hours and while leaving the station (Mysore). Those students who do not follow the rules & regulations of the hostel will be liable for dismissal from the hostel. No valuables (jewellery) are permitted in the rooms. The management does not own responsibility in case of loss. The health services of JSS Hospital, JSS Ayurvedic Hospital and outpatient department (except drugs & consumable items) are available to the students at the time of illness on payment of the health insurance fee. An accident insurance scheme has also been made mandatory for all the students on payment of an annual premium of Rs. 282/- towards the same. 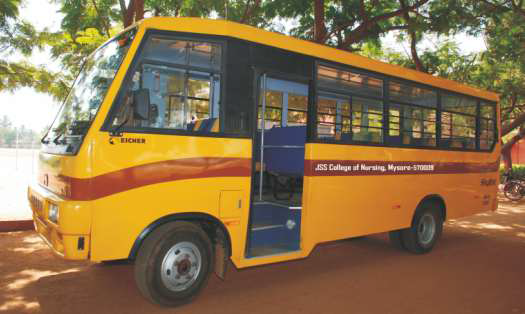 Two buses have been made available to take students from college to hospital and other clinical areas. Personal problems of students are looked into and necessary counselling and guidance are provided by the college faculty. These services are available near JSS Hospital and Hostel.